Parwan Prince has given jockey Lucinda Doodt and trainer Jade Darose a milstone win at Sandown. Dual-licence holder Jade Darose has celebrated her first city win as a trainer at Sandown with the only horse shey has racing. Parwan Prince drew clear over the final 300m in a 1000m race on Wednesday to bring up the milestone for Darose. 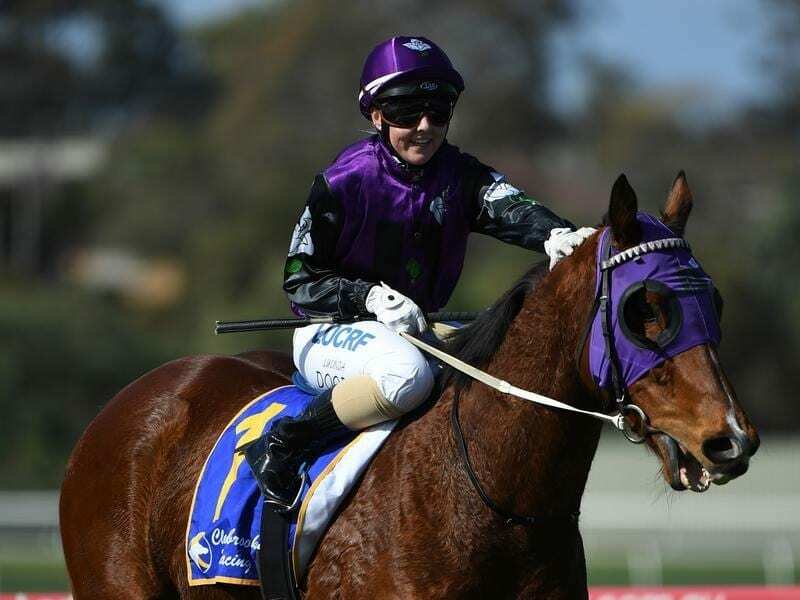 Adding to the occasion, the victory was also a first metropolitan success for apprentice jockey Lucinda Doodt. “I’m still shaking. That was amazing,” Darose said. “He did such a good job. Darose was among the first jockeys to be granted a dual licence in Victoria to also train horses when it was introduced by Racing Victoria in 2016. Parwan Prince has had 15 starts for Darose for five wins and six placings, with Darose riding the gelding in two of those victories at Geelong and Sale. “I’m happy with one and I’ve got another one getting ready for the picnics,” she said. Parwan Prince ($3.90) had 62kg in Wednesday’s race but Doodt’s booking meant he carried 59kg after the apprentice’s claim. Doodt won at Cranbourne on Parwan Prince last start and was thrilled to keep the ride to achieve a break through city success. “It’s a huge thrill,” Doodt said. “And I’m very pleased that it was for Jade.